1. Personalized Your Garmin Forerunner 230 / 235 / 620 / 630 / 735XT Smart Watch with this refined wrist band. 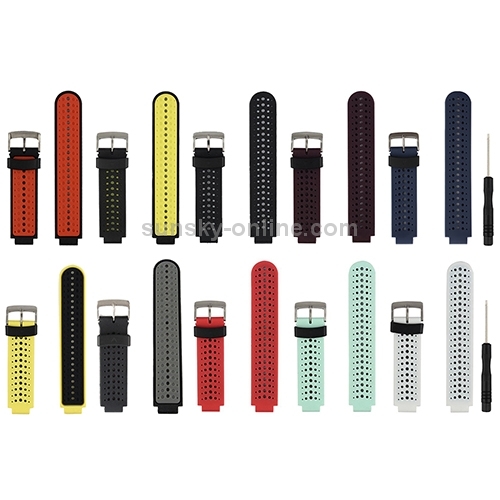 Comparable to original Garmin Watch Band. Watch NOT included. 2. 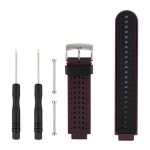 Band can be installed onto Garmin Forerunner Watch Band (not included), Fits 5.11"-8.46" wrist. 3. Come with screws drivers,1PC Silicone Replacement Band with 2PCS Pin Removal Tools for Garmin Forerunner 230 / 235 / 620 / 630 / 735XT. 4. 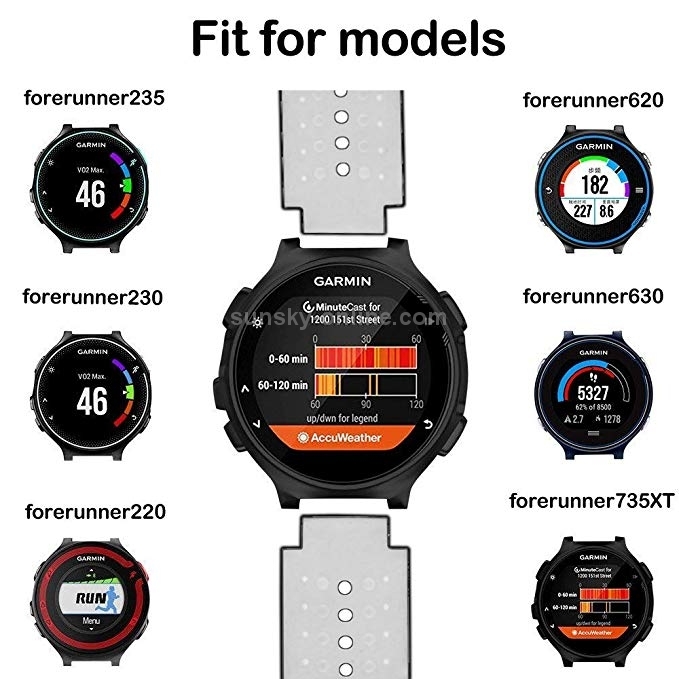 Air-Permeable design allow more airflow of Garmin Forerunner Watch Band, keep your wrist breathable and cooler. 5.Replacement Garmin Watch Bnad delighted varied color personalize your wristband to fits your mood and outfits in daily life with this brand new color choices.